Almost every winter for the past 30 years Agriculture Victoria staff have been conducting detailed soil salinity surveys across irrigated farms in the Torrumbarry and Loddon Valley Irrigation Areas. The information collected is mapped at the farm scale to illustrate how salt levels vary across individual farms and paddocks. This information assists irrigators in managing their soils to improve productivity. A huge amount of information has been established over the years providing a graphic illustration of soil salinity levels in the area and the change in soil salinity over time. The soil salinity survey will classify the soil on your farm into four salinity classes, “A”, “B”, “C” or “D” based on the amount of salt in the top 60 cm of the soil, where most plant roots are located. “A” class is the lowest salinity soil enabling pastures and crops to grow very well whilst “D class” soils grow predominantly salt tolerant plants such as samphire, saltbushes and Barley Grass. 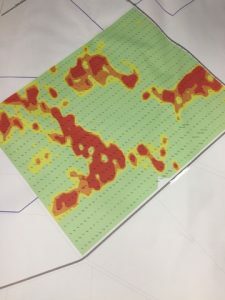 From the ground truthing a colour coded map is designed to overlay across the irrigation Whole Farm Plan assisting farmers in making sound financial and development decisions by identifying the most productive and least productive parts of their farm. With the high capital cost of developing irrigation layouts and the current high cost of water, it is important to focus on your best and most productive soils. Salty, degraded areas can be fenced from stock and managed separately to improve both the ground cover and soil structure. Salt mapping of irrigated farms began in the late 1980’s when local landholders and the Victorian Government partnered to develop a Salinity Management Plan for the Tragowel Plains Region. Farm scale surveying of soil salinity levels, using an electromagnetic “EM38” meter, was developed by the Victorian Department of Agriculture as an education tool to identify salinity “hotspots.” The idea spread rapidly with up to 10 survey teams, mostly local people, walking across farms recording salt levels at 30 metre intervals. 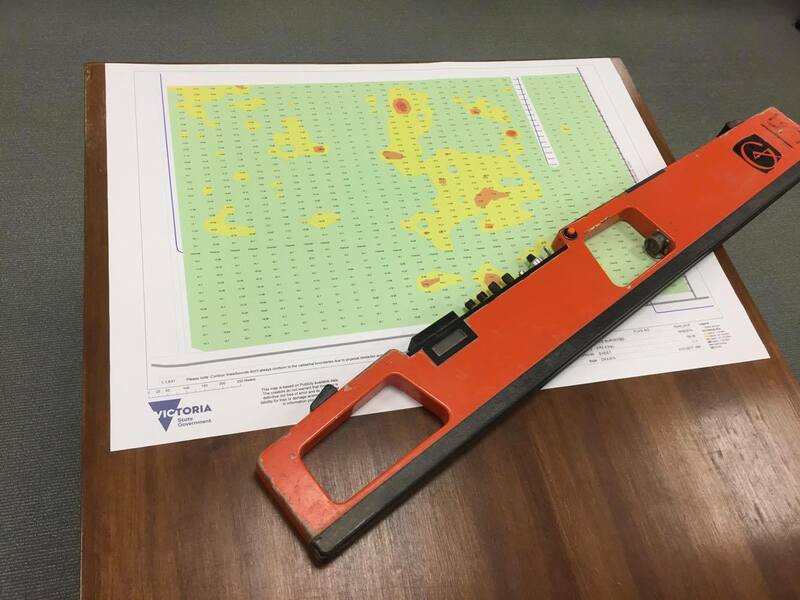 Since 1987 more than 235,000 hectares of farmland has been Soil Salinity Surveyed in the Torrumbarry and Loddon Valley areas. Following the Millennium drought and 2011 floods farmers and Agriculture Victoria staff visibly noticed an improvement in pasture and crop growth on previously saline areas. A review of the soil salinity maps was undertaken to compare results from farms that had been surveyed more than once. Eighteen irrigation properties were investigated and they all recorded lower salinity levels in the later survey. Unfortunately there is insufficient evidence to determine if the reduction in salinity can be attributed to drought, the floods, farm management, improved layout or improved regional drainage. The most likely explanation is the reduction of soil salinity levels is a result of all of these contributing factors. Whilst in general soil salinity levels have decreased it still poses a significant limitation threat to productivity on many of our irrigated soils. Proper management will enable continued improvement in the health of soils on farms and maximise the productive potential of the irrigation area. For more information on soil salinity and Whole Farm Plans contact Agriculture Victoria at Kerang 03 54521266 or Echuca 03 54821922.